The evidence is clear: there are a considerable number of physicians struggling with drug and alcohol use and abuse. The root of physicians’ addictions, the debate over mandatory testing as well as prevention and treatment programs will be discussed. When all these circumstances are considered together, they equate to one state: burnout. 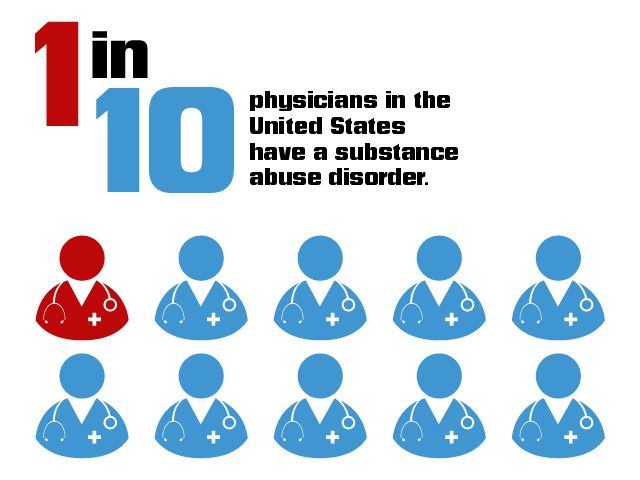 The world-renowned Mayo Clinic defines burnout as “a special type of job stress — a state of physical, emotional or mental exhaustion.” The article, “Prevalence of Alcohol Use Disorders among American Surgeons” in the Journal of the American Medical Association, established a direct correlation between the symptoms of increased emotional exhaustion among surgeons and the symptoms of alcohol abuse and dependency (see Figure 1). USA Today also cited other contributing factors, such as ineffective policies and the lack of safeguards to limit drug access, including surveillance systems. A representative from the University of Tennessee Medical Center in Knoxville reported catching at least one healthcare provider stealing medication a month. Punitive action for these thefts are rare because hospitals do not report the crime for fear of bad publicity, and prosecutors consider these cases to be too insignificant to pursue. Some believe that the government should require drug and alcohol testing for doctors. Supporters include the highly-regarded Scientific American and The New York Times publications. They refer to federal laws that require mandatory random drug and alcohol testing of employees whose work impacts people’s safety, like airline pilots, ship captains, and school bus drivers. They argue that doctors, who hold their patients’ lives in their hands, should be subject to the same requirements. Those who failed testing would have their medical licenses suspended. Opponents against mandatory drug testing for doctors feel that the measure will not be effective in its goal to protect the public. On the contrary, testing may cause those who are suffering from the disease of addiction to not seek treatment. Drug tests themselves are not foolproof: 5 to 10 percent of drug tests generate false positives while 10 to 15 percent create false negatives. 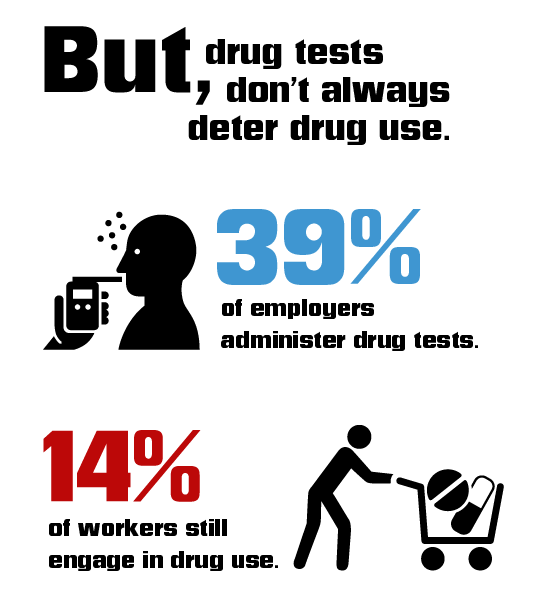 Even with 39 percent of American employers conducting random drug screenings,14.1 percent of workers still engage in drug use. Craig Klugman, Ph.D. chair of the Department of Health Sciences at DePaul College of Science and Health, argued that these statistics show that random testing does not substantially decrease substance use and abuse. Klugman believes that this practice only “further demean[s] the most vulnerable in our society and stigmatizes them for being in need of a helping hand.” Instead of screening physicians for the purpose of punishment, Klugman contends testing should be done to identify individuals who need help and support them in their recovery. In order to prevent substance abuse among doctors, Merlo recommends “efforts targeting prescription drug misuse among physicians should be initiated during medical training, with continuing education requirements throughout the physicians’ careers.” Warren Pendergast, president of the National Federation of State Physician Health Programs, agrees. He admitted, “We don’t teach our practitioners much about addiction, given how much is out there.” Like Merlo, Pendergast advocates addiction education during doctors’ training and throughout their careers. 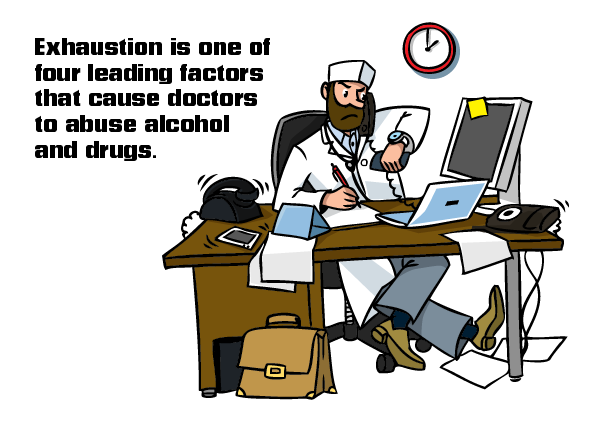 There are those who call for a well-defined course of action when a doctor is found to be impaired by drug or alcohol use. The British Journal of Medicine followed 802 doctors who were treated for substance abuse disorders by U.S. state health programs. Five years after completing therapy, approximately three-quarters of the physicians were found to be free from substance use. Even with these success stories, physician-centered treatment programs are not yet widely available. Physicians suffering from addiction choose Seaside Palm Beach for its medically-advanced addiction therapies that are conducted in a well-appointed and secluded setting. Customized treatment options are carefully selected and administered by industry-leading healthcare professionals who dispense evidence-based care. Our programs allow patients to remain connected to their loved ones as well as their professional careers while achieving physical, mental and spiritual wellness. Get a confidential assessment with one of Seaside’s caring counselors by calling toll-free: 888-997-3274.